How do we rate a property? We rate all our hotels, resorts, and lodges using our own bespoke grading system. We'll only invite a property into our collection once it's been assessed by one of our luxury hotel specialists. If it doesn't impress us, it doesn't make the cut. 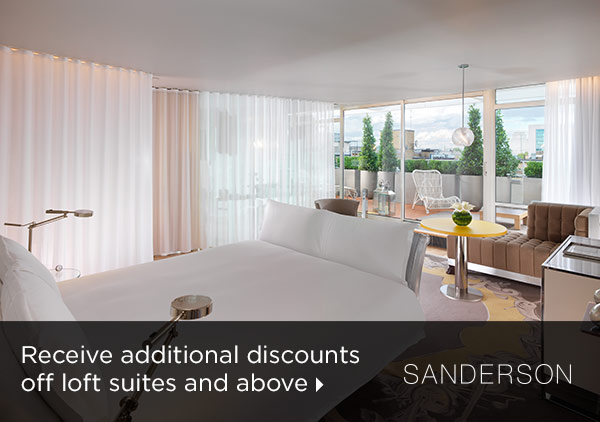 Sanderson is located in London's fashionable and cosmopolitan Soho district. The hotel is within walking distance of myriad nightlife options, restaurants, shopping, museums, and notable cultural landmarks, including Leicester Square and Covent Garden. 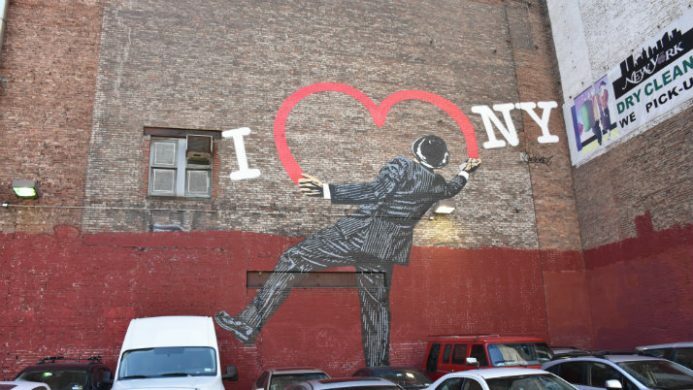 Travel time to Sanderson is approximately 40 minutes by car from Heathrow Airport. 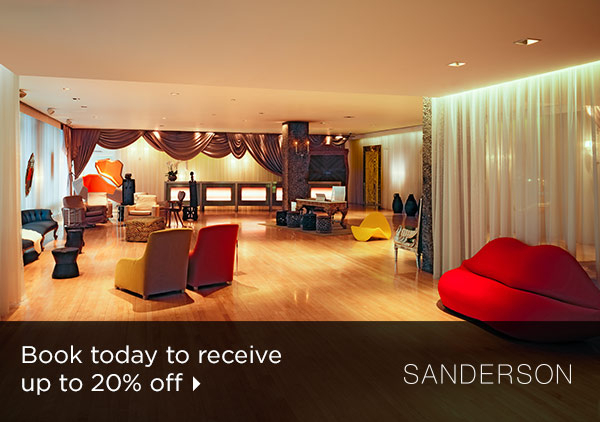 Sanderson is a luxury London boutique hotel in the Soho area that offers guests a chic escape from the city. See and be seen at this design-heavy hotspot. If Alice returned from Wonderland, grew up, worked at an interiors magazine, and then opened a hotel, it would probably look a lot like Sanderson. From the ultra-chic surrealism of the lobby, to the space-age lifts, to the wit and whimsy of the residents-only Purple Bar, this hotel features the best in modern design and furnishings, all with tongue planted firmly in cheek. Rooms and suites feature glass-enclosed bathrooms and dressing areas that, instead of walls, use multiple curtain panels controlled by the touch of a button. Philippe Starck-designed lighting and furnishings include sleigh beds and area rugs that suffuse style with comfort. Be sure to make an appearance at the fabulous Long Bar or elegant Suka restaurant, where the latest in mixology and cuisine are served up by friendly staff. Kiwi Collection powers the Visa Luxury Hotel Collection: Book the Visa Premium Card Rate with an eligible Visa Premium card at 900+ hotels and enjoy seven benefits. 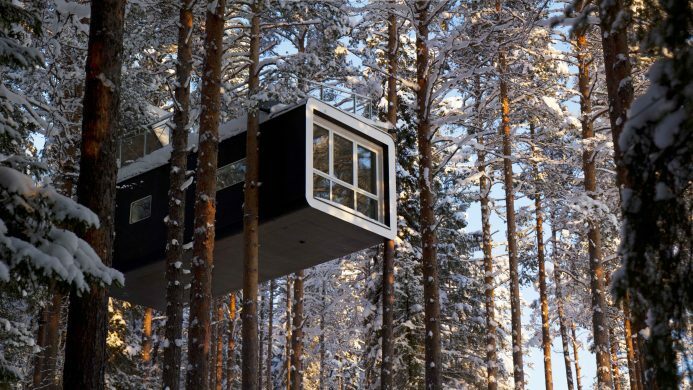 In some cases we may be able to find available rooms. Call our agent at 1 877 999 0680 or contact us, or chat for assistance. 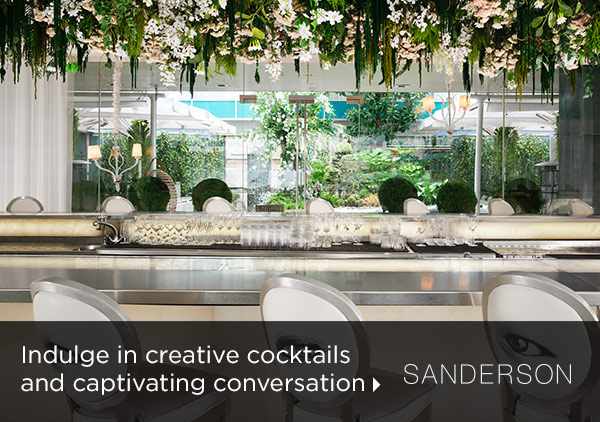 Send an availability request with your requested dates to the Sanderson. Book the Visa Premium Card Rate with any of the following Visa Premium Cards: Visa Signature, Visa Infinite or select Visa Platinum and Visa Gold and receive these premium additional benefits. Features a desk w/chair and bathroom with walk-in shower. Larger Room featuring a desk, bathroom with walk-in shower. Features two double beds, bathroom with walk-in shower and work desk with chair. Features a king bed, desk with chair, bathroom with free-standing bathtub and separate walk-in shower. Features Queen bed, entrance curtain, desk with chair, very spacious bathroom, free-standing bathtub, separate walk-in shower. Suite with a King bed, separate living area, desk w/chair. Features a King bed, desk w/chair, private terrace, floor-to-ceiling windows. Takes up the entire eight floor with two bedrooms, King and a Queen bed, kitchen, living room, view of the London Eye, private elevator, en-suite bathroom in both bedrooms. Our luxury hotel specialists are only a call or click away.